Should I jump on the latest social media marketing trend? While it is always a good idea to watch trends and to stay up-to-date on what people are talking about; is it always necessary to incorporate every trend into your social media marketing plan? Being an early adopter can position you as trendsetter but if it doesn’t work for your business it can be a big waste of your time and effort, so how do you know if will work for your real estate business or not? Will it build on my customer base? Lead generation is one of your most important daily tasks, so the trends you use to market must be efficient and effective. But the problem is that although you grabbed the attention of a previously untapped market, it was hard to determine if they were really interested in the property or just catching an elusive Pokemon. Just as quickly as it started it died down again - would the results have justified the time and effort? Not really. Will it showcase my expertise? 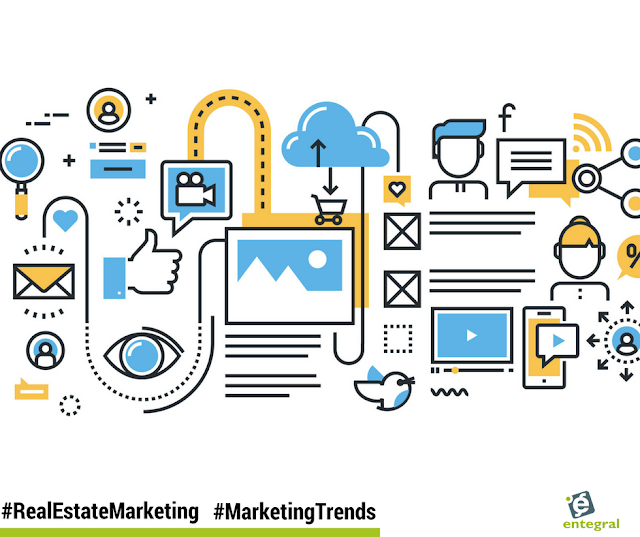 Snapchat, for example, is one of the latest social media marketing trends for real estate agents and with its easy to share platform it is no wonder that agents are turning to it. However, before you go and download Snapchat ask yourself if this will showcase your skills as a real estate agent to the correct audience and what makes it different from how you share listings on Facebook, Twitter or Instagram? Always keep in mind that whatever medium of online advertising you are using it should give you the returns you are aiming for - you should never put more and time and in effort into something that clearly isn’t working in the hopes that it will. Is it part of a bigger movement? You might not have heard of the messaging app, Peach before but, it is a great example of how some might consider it the next big thing when it reality it is just a short-lived moment. The app spread like wildfire over a weekend in the U.S but by that Monday the app was considered dead and it disappeared from the social landscape. Pokémon Go might have been a short-lived fad but it is part of a larger movement: Augmented Reality. As we have reported before companies such as Matterport 3D offers 3D imaging to allow for a whole new way of viewing a home. 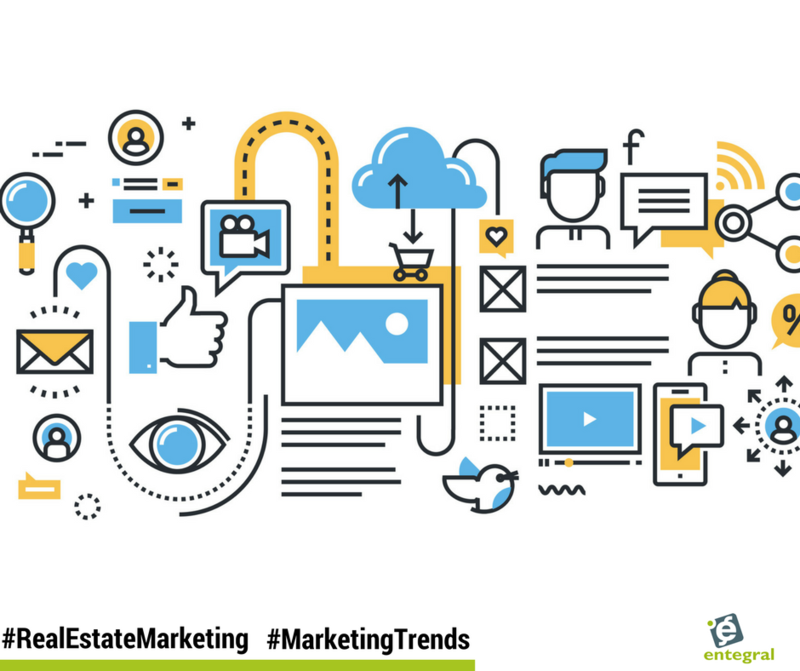 So by looking at what is behind a trend, we might find the next evolutionary step in real estate marketing and those trends are the ones you should invest in. Do I see myself using it in six months? Like fitness equipment, a trend can start out being wildly popular with an audience who imagines all the benefits they’ll get from using it, but wind up dusty and forgotten in the back corner of their consciousness. Technology trends like cloud storage or smartphone apps have longevity because you use them every day. The same goes for social media marketing - invest your time and money into platforms where your advertising gives you adequate RIO. Facebook advertising, for example, works because you can target an audience when promoting a listing or content post. Does it fit my brand personality? In other words, will adopting this trend be a logical and seamless next step for your real estate agency, or will it be a complete change that confuses your audience and dilutes your brand? For example, if you had used Facebook or Instagram to post beautiful listing photos and suddenly switched to Snapchat, will your audience follow you to the new platform or will they feel confused and left behind by your new tactic? By all means, explore trends that gain popularity — you never know where the next game-changer will come from — but ask yourself if it’s a business tool you can use to achieve your day-to-day goals. If not, enjoy it for entertainment purposes, and save your time and money for trends that help you build your brand and increase your business.